Keeping members and friends of the Order of the Most Holy Mary Theotokos up-to-date on church news and current events! Bishop Floyd and Mrs. Ellen Covey Celebrate 50 Years of Ministerial Service. "On November 10, 2018, the Lord allowed Ellen and me to celebrate fifty (50) years of service in various forms of ministry. We had a reception at St. Andrew's Episcopal Church here in Collierville, Tennessee. Many friends and family members came to join us for this glorious event. Our Lord has been so gracious to allow us to serve in many different settings over the years. All Praise and Honor and Glory be to the Father and to the Son and to the Holy Spirit!!!" These inspiring words shared by the Most Rev. Dr. Floyd Lee Covey, O.SS.T. upon celebrating 50 years of ministerial service. 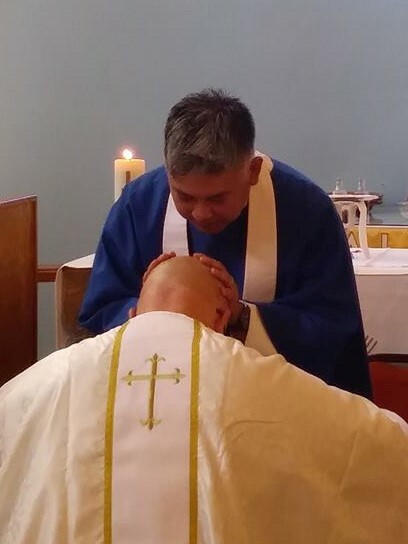 Bishop Floyd went on to say, "Our Lord was so gracious during 2018 in allowing me to celebrate three incredibly significant events - my Life Profession of Vows as Monk in O.SS.T. ; my Consecration as a Bishop; and the 50 year Ministry Celebration. All Praise and Honor and Glory be to the Father and to the Son and to the Holy Spirit!!!" Congratulations +Floyd and Ellen, may God continue to bless you both with many more years of ministry! O.SS.T. Welcomes New Partner in Ministry with a Concordat / Agreement of Full Communion with The Evangelical Orthodox Old Catholic Church in America. It is with heartfelt joy that on January 13, 2018, The Baptism of the Lord, the Order of the Most Holy Mary Theotokos entered into a Concordat / Agreement of Full Communion with The Evangelical Orthodox Old Catholic Church in America. The Evangelical Orthodox Old Catholic Church in America, under the spiritual, synodical, and corporate episcopal oversight of His Eminence, the 4th Archbishop Metropolitan ++Allen W. (Francis Benedict) Zaugg;﻿ is an "Apostolic Mandated" Orthodox Catholic jurisdiction that encourages both men and women to reach their full calling to serve our Lord Jesus Christ within His One Holy Catholic and Apostolic Church. A New Resurrection Day for All! For more information: Partners in Ministry ~ The Evangelical Orthodox Old Catholic Church in America. ﻿O.SS.T. Mourns the Loss of Two Dear Friends on November 23, 2018. We were extremely saddened to learn of the tragic death of Abba Anthony Curley and Sister Joan Swails on November 23, 2018 as the result of a horrific automobile accident. Abba Anthony was killed instantly and Sister Joan died a short while later at the hospital. 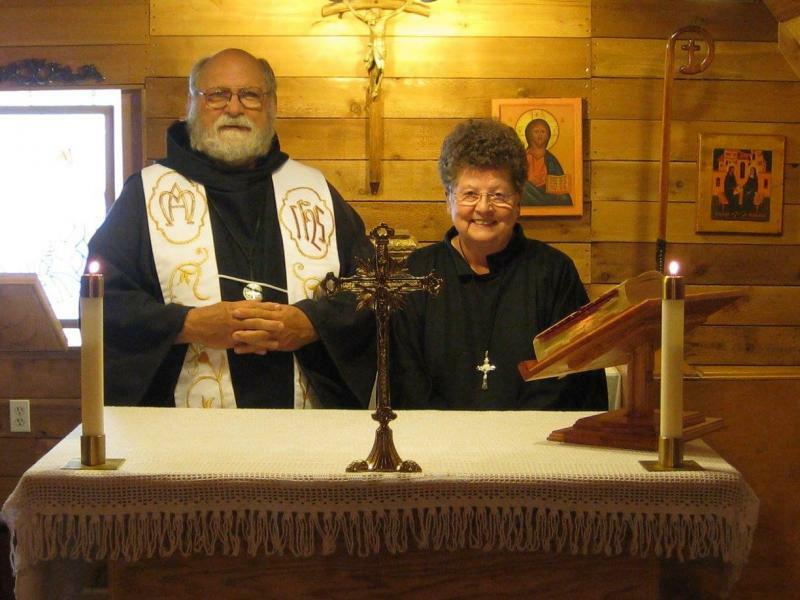 Both were members of the Benedictine Community of Saint Anthony to which the Order of the Most Holy Mary Theotokos has enjoyed sharing an intercommunion agreement with for the past several years. Please keep the surviving members of the community in your thoughts and prayers during this very difficult time. "For each of us the time is surely coming when we shall have nothing but God. Health and wealth and friends and hiding places will all be swept away, and we shall have only God. To the person of pseudo faith that is a terrifying thought, but to real faith it is one of the most comforting thoughts the heart can entertain." Eternal rest, grant unto them O Lord and let perpetual light shine upon them. May they rest in peace in the loving and merciful arms of Christ Jesus. Amen. We celebrate the life of both of these fine saints who spent their lives bringing the Light of Christ to all they met. They will be missed! The 2018 Annual O.SS.T. Synod/Retreat was held 18 thru 21 October 2018. An O.SS.T. Chapter Meeting was held in conjunction with this year's annual retreat/synod held October 18th thru the 21st at the Hampton Inn by Hilton in Fayetteville, Georgia. This year's theme was "The Mass, the Source and Summit of Our Catholic Faith". Participants walked through the Liturgy with Bishop Barron and were transformed through insights on the most priviledged and intimate encounter with our Lord Jesus Christ. We learned how the Mass brings us out of the fallen world and into the heavenly realm, how it resonates with a call from God and a response from his people, the Church, and, most importantly, how we are intimately joined with the Body, Blood, Soul, and Divinity of Jesus through the Holy Eucharist. The Mass helped us understand how to fully, consciously, and actively participate in the source and summit of the Christian Life. There was also a presentation with practicum on the Eucharist, offering inspiring insights into the mystery of Christ's presence in our lives and the centrality of the Eucharist as the fullness of that presence. We also discussed the Heroic Priesthood...the demands and joys of the priestly vocation. A community meal was shared at Our Lady of Peace Archabbey on the evening of Friday the 19th with a special highlight of the gathering being the community Mass with the elevation of Bishop Dr. Floyd Lee Covey, Sr., O.SS.T., to the Episcopate on Saturday the 20th at the Church of the Holy Cross. ﻿﻿To view Bishop Barron's "The Mass" - Trailer, click here. Subdeacon Wayne Henri Silk, ER.O.SS.T.﻿ Moves From the Life in Community to the Eremitic Life. In our times the anchoritic life as a distinct form of vocation is almost unheard of. However, an increasing number of Christian faithful feel again a vocation to live the eremitic life, whether in the remote country side or in a city in stricter separation from the world, without having passed through the coenobium first. Bearing in mind that the meaning of the eremitic vocation is the Desert Theology of the Old Testament (i.e. the 40 years wandering in the desert that was meant to bring about a change of heart), it may be said that the desert of the urban hermit is that of the heart, purged through kenosis to be the dwelling place of God alone. The Order of the Most Holy Mary Theotokos has made provisions concerning those Solemn Life Professed First Order Monks who feel called by God to move from the life in Community to the eremitic life, and have the permission of the Presiding Archbishop-Abbot. The Presiding Archbishop-Abbot has granted Subdeacon Wayne Henri Silk, ER.O.SS.T. permission to do so on the eighth day of September in the year of our Lord two thousand eighteen, The Feast of the Nativity of the Blessed Virgin Mary. As a Consecrated Eremitic Monk, Subdeacon "Hank" technically remains a member of the Order and thus under obedience to the Presiding Archbishop-Abbot. Father Anthony Christopher Zacchino, ER.O.SS.T.﻿ Moves From the Life in Community to the Eremitic Life. In our times the anchoritic life as a distinct form of vocation is almost unheard of. However, an increasing number of Christian faithful feel again a vocation to live the eremitic life, whether in the remote country side or in a city in stricter separation from the world, without having passed through the coenobium first. The Presiding Archbishop-Abbot has granted Father Anthony Christopher Zacchino, ER.O.SS.T. permission to do so on the fifteenth day of August in the year of our Lord two thousand eighteen, The Solemnity of the Assumption of the Blessed Virgin Mary. As a Consecrated Eremitic Monk, Father Anthony technically remains a member of the Order and thus under obedience to the Presiding Archbishop-Abbot. ﻿Bishop-Elect Dr. Floyd Lee Covey, Sr., O.SS.T. Makes Final (Perpetual) Solemn Life Profession. By the grace of God, Bishop-Elect Dr. Floyd Lee Covey, Sr., O.SS.T. celebrated the Rite of Final (Perpetual) Solemn Life Profession on June 23, 2018, Saturday of the Eleventh Week in Ordinary Time, Blessed Virgin Mary. The Ceremony of the Solemn Profession of Vows reveals a profound, transcendent moment in the life of a Benedictine Monk in which he consecrates his whole life to God, making the vows of Obedience, Stability, and Conversion until death. In so doing, the Monk becomes a visible reflection of Christ, who was obedient to the Father until death, death on a cross. The beautiful liturgy also opens a window to the end of time, when each faithful Christian will appear before the throne of God and the Lamb, and be counted among the flock of those Jesus has chosen to live forever in eternal happiness.﻿ Congratulations! Chosen and recognized by the Church as being called by God to the Sacred Office of Bishop! O.SS.T. Consecrates New Bishop. The Most Rev. Dr. Robert F. Jangro, O.SS.T., Presiding Archbishop-Abbot of the Order of the Most Holy Mary Theotokos, with the assistance of the Most Rev. Dr. David D. Pascusa, O.SS.T., ordained the Most Rev. Dr. Russell Dean Lee, O.SS.T., to the Sacred Order of the Episcopate, in the One, Holy, Catholic, and Apostolic Church Sunday, May 6, 2018 in Twentynine Palms, California. Additionally, on May 20th, the Presiding Archbishop-Abbot appointed Bishop Russ Dean of Ave Maria Theological Seminary and Claustral Prior of O.SS.T. As Dean of Ave Maria Theological Seminary, Bishop Russ is commissioned to develop academic policies and programs, coordinate student activities, and advise students and faculty on personal matters. As the Claustral Prior of the Order of the Most Holy Mary Theotokos, Bishop Russ is commissioned to hold the first place after the Abbot and assist in the government of the Order, functioning effectively as the Superior's second-in-charge (or Auxiliary Bishop). ﻿﻿We rejoice in the continued growth of our faith-filled family. Congratulation Bishop +Russ! The 2018 O.SS.T. Bishop's Retreat was held on Sunday, May 6th in Twentynine Palm’s California. The gathering focused on finalizing the development of an action plan and way ahead for the O.SS.T. Community. The bishops met in a small group setting, discussing adaptive challenges, and proposed changes and reforms to our monastic order as an Institute of Consecrated Life. They spent time together in worship and in prayer, as well as having time for both individual and peer reflection. The highlight of the retreat was the consecration of +Russell Dean Lee as our Order’s newest bishop and the opportunity to concelebrate a community Mass. All active bishops of O.SS.T. were in attendance. A report of the gathering will be published in the near future. The "Benedictines of Mary, Old Catholic Marianists" have been dedicated to Our Lady from the very beginning of our Order. She is our life, our sweetness, and our hope. She is bride, she is Mother, she is Queen, and none of these has passed from the present into mere memory.